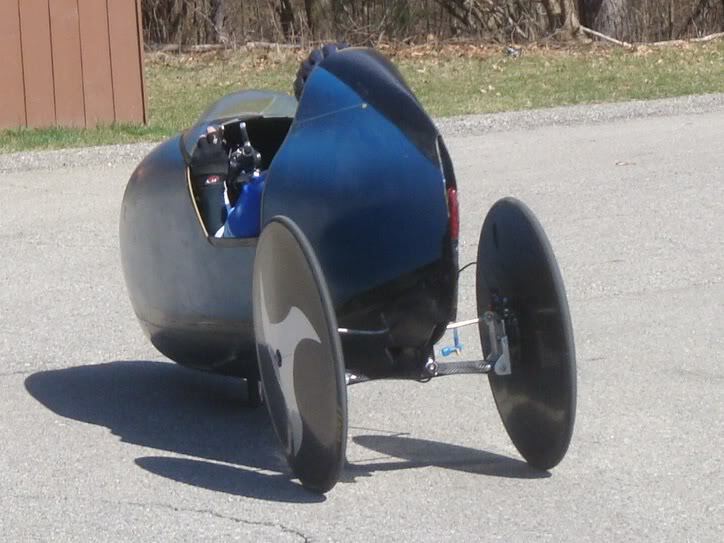 EcoVia is a project of velomobile which should be used for commuting and everyday transport. It is in a prototype stadium now but the progress can be seen and also the passion of its maker. EcoVia is a not only a velomobile as you know it. 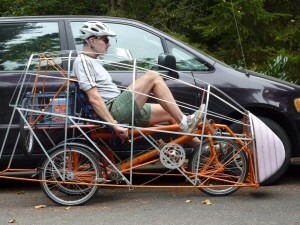 It is based on a tilting delta trike. Tilting allows it to be higher than common delta trikes and so the vehicle can be much faster in curves when riding out of the city. Of course, the lean brake is incorportaed too for safe slow riding. Craig Cornelius mention 10 criterias of the vehicle he is designing and all of them makes sense to me. The only problem I see now is that the complete construction is very complicated and it will be pretty difficult to finalize the project to the production stadium with interesting price for the customer. Read more about the project on Craig’s web.